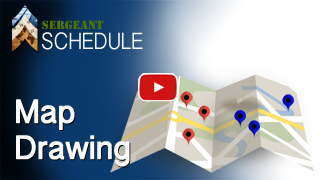 Sergeant Schedule is an online Software merged with Google Maps. We combine a Team Calendar, Scheduling, Project Mapping, File Upload, Time Tracking and Estimates. "I can schedule my entire week in a few minutes." Our smartphone interface is designed specifically for simplicity in the field. Your staff of contractors will really appreciate how fast they can clock their time, add notes, pictures and more. 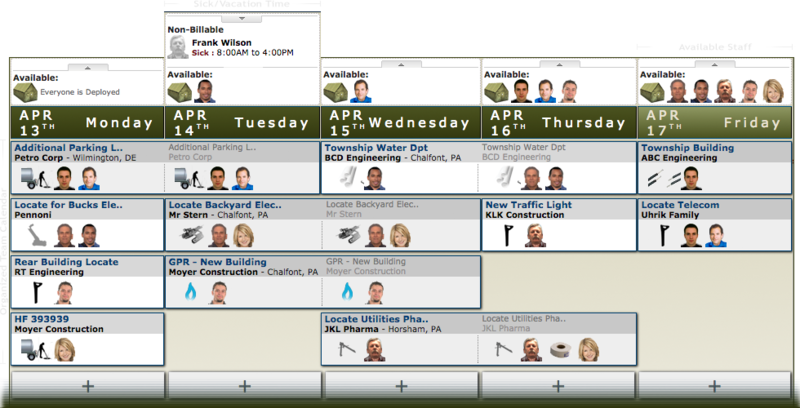 Move your staff around quickly and easily with a powerfull weekly calendar as well as our tactical daily scheduler. 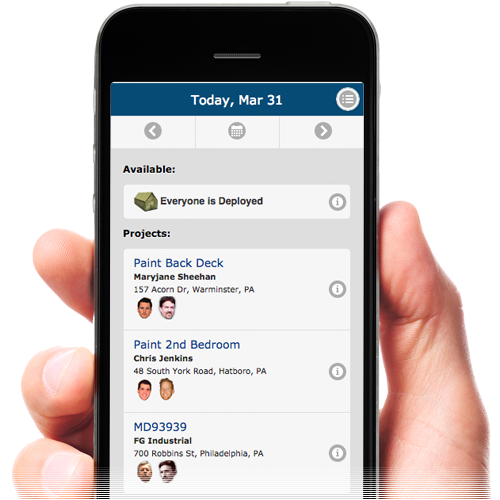 A simple view of your workers daily assignments, direct to their iPhone or Android Smartphone..
Tour our Work Force Software including Scheduling, Project Mapping, Map Drawing and Time Tracking. Draw notes and markers directly on the map of your job site. 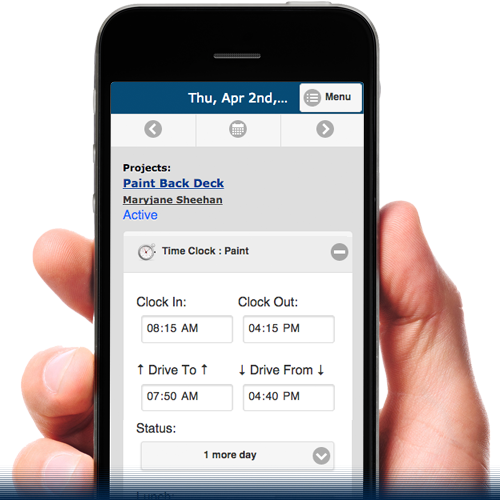 Mobile Clock In/Out allows employees to track their time. 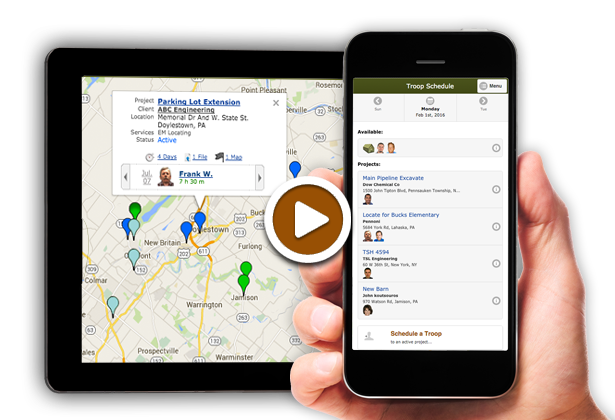 In under 5 clicks, your staff can track their hours and provide job site feedback & pictures.